The Great Central Railway (GCR) is a heritage railway in Leicestershire, named after the company that originally built this stretch of railway. 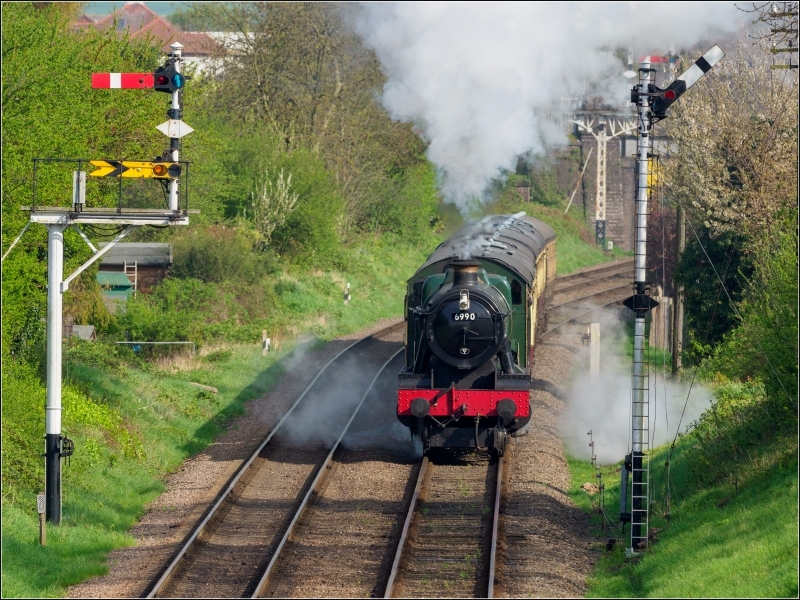 The GCR is currently Britain's only double track mainline heritage railway, with 5.25 miles (8.45 km) of working double track, period signalling, locomotives and rolling stock. It runs for 8.25 miles (13.28 km) in total from the large market town of Loughborough to a new terminus just north of Leicester. Four stations are in operation, each restored to a period in the railway's commercial history: the 1950s Loughborough Central; Second World War and the remainder of the 1940s Quorn & Woodhouse; the Edwardian Era Rothley; the 1960s Leicester North. Please give us your overall rating for Great Central Railway.